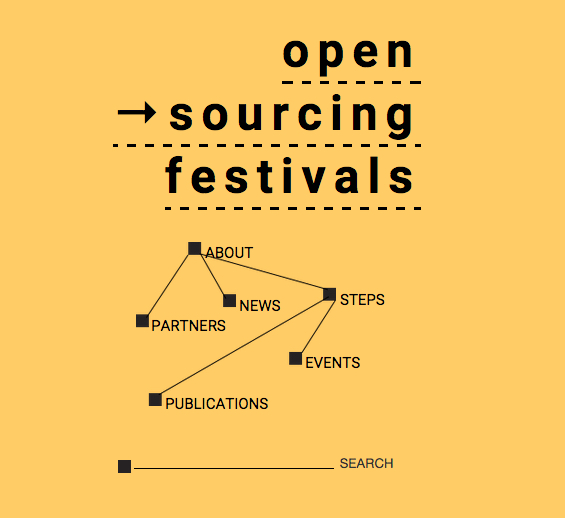 The Open Sourcing Festivals project started out with a set of questions such as how does an organisation open-source their cultural festival? Can we share the process for organising a festival, so that other groups can use it themselves? How do organisations support activities and events throughout the year? Can we share the process for sustaining ongoing programs so that other groups can do this too? The project's partners explored these questions through a mobile circuit of workshops and seminars organised across Europe in themed learning steps from November 2013 until May 2015. The starting point of Open Sourcing Festivals was in the roles of organisations from the independant cultural networked scene of Europe, in supporting open learning processes. The project was co-produced by Piksel (NO), Pikslaverk (IS), Mal au Pixel (FR), Access Space Network (UK) and Pixelache (FI), who each hosted one or several of the learning steps, based on their specialism interests. All the project's publications can be found from here.